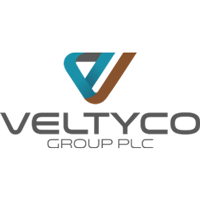 Stock in Veltyco Group PLC with ticker code: LON:VLTY has gained 31.43% or 2.75 points during today’s session so far. Buyers have so far held a positive outlook throughout the session. The high for the period has peaked at 11.5 meanwhile the session low reached 9. The total volume of shares exchanged so far has reached 405,864 with the daily average at 117,598. The 52 week high for the shares is 95 equating to 86.25 points difference from the previous days close and putting the 52 week low at 5 a difference of some 3.75 points. Veltyco Group PLC has a 20 day moving average of 24.5 and also a 50 day simple moving average now at 31.92. The current market capitalisation is £8.71m at the time of this report. The share price is in GBX. Mcap is measured in GBP. This article was written with the last trade for Veltyco Group PLC being recorded at Tuesday, November 27, 2018 at 12:48:43 PM GMT with the stock price trading at 11.5 GBX. Shares of Severn Trent Plc found using EPIC: LON:SVT has risen 1.03% or 20 points during today’s session so far. Investors have stayed positive during the session. The periods high has already touched 1969 meanwhile the session low reached 1939.5. The total volume traded so far comes to 260,171 with the average number of shares traded daily being 1,034,504. The 52 week high for the share price is 2179 equating to 234 points different to the previous business close and a 52 week low sitting at 1664 which is a difference of 281 points. Severn Trent Plc now has a 20 simple moving average of 1933.7 and now a 50 day simple moving average now at 1893.8. The market capitalisation is now £4,630.22m at the time of this report. The currency for this stock is GBX. Market cap is measured in GBP. This article was written with the last trade for Severn Trent Plc being recorded at Tuesday, November 27, 2018 at 12:51:28 PM GMT with the stock price trading at 1965 GBX. The stock price for Skinbiotherapeutics PLC found using EPIC: LON:SBTX has increased 11.61% or 1.8 points during today’s session so far. Buyers have stayed positive while the stock has been in play. The periods high has reached 17.37 dropping as low as 15.4. The amount of shares exchanged has so far reached 424,386 with the daily average at 121,487. The stock 52 week high is 29.93 which comes in at 14.43 points different to the previous business close and a 52 week low sitting at 7.07 is a variance of 8.43 points. Skinbiotherapeutics PLC has a 20 day moving average of 17.37 and the 50 day moving average at 19.55. The current market capitalisation is £20.15m at the time of this report. The currency for this stock is GBX. Market cap is measured in GBP. This article was written with the last trade for Skinbiotherapeutics PLC being recorded at Tuesday, November 27, 2018 at 11:12:05 AM GMT with the stock price trading at 17.3 GBX. The stock price for UNILEVER/PAR VTG FPD 0.031111 with company EPIC: LON:ULVR has gained 1.18% or 49.5 points throughout the session so far. Buyers have stayed positive while the stock has been in play. The period high has peaked at 4274.5 while the low for the session was 4222.5. Volume total for shares traded during this period was 1,009,457 with the daily average at 3,318,654. The stock 52 week high is 4503.66 amounting to 305.16 points difference from the previous close and the 52 week low at 3678.5 is a variance of 520 points. UNILEVER/PAR VTG FPD 0.031111 has a 20 SMA of 4211.9 with a 50 day moving average now at 4182.82. 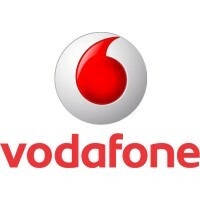 The market capitalisation is now £122,420.33m at the time of this report. All share prices mentioned for this stock are traded in GBX. Mcap is measured in GBP. This article was written with the last trade for UNILEVER/PAR VTG FPD 0.031111 being recorded at Tuesday, November 27, 2018 at 12:51:27 PM GMT with the stock price trading at 4248 GBX. Click SBTX SVT ULVR VLTY for the full archive.